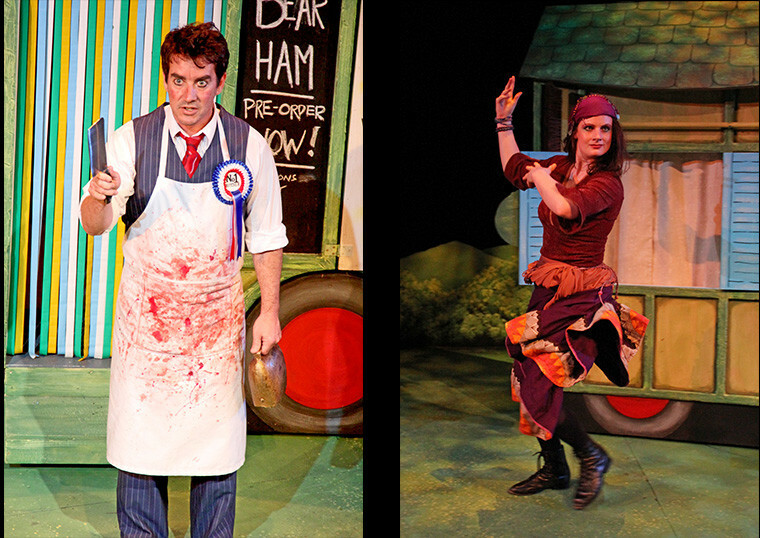 THE BUTCHER & THE BEAR is a new musical for children. Featuring a live music by Miro’s Gypsy Strings, this is an interactive and entertaining modern folk tale for children and their families. When Bear’s friend Bird hurts her wing, he must go to the village to find her some medicine. But Bird knows the Village Butcher is just waiting for his chance to get his hands on her friend. 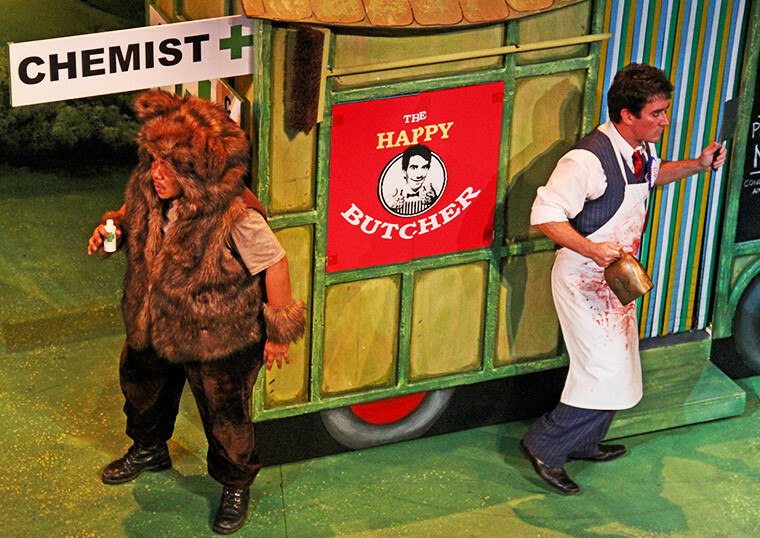 Will Bear find the medicine for Bird before the Butcher finds him? 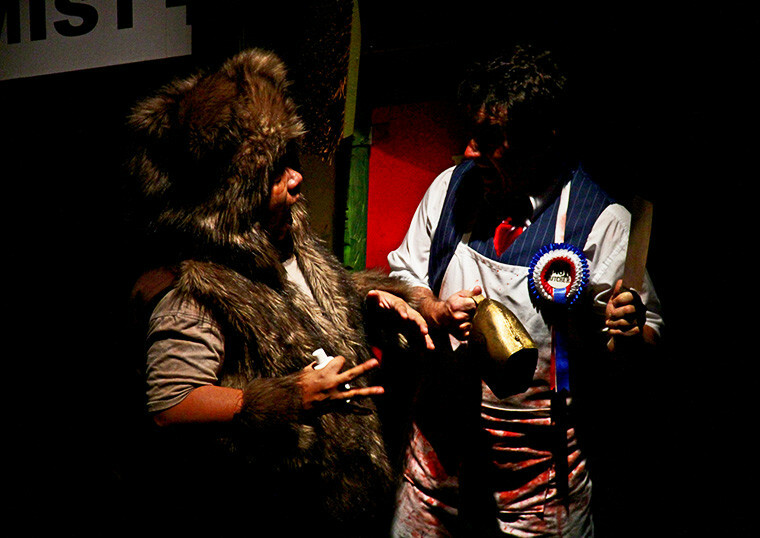 Gather your family and join a brave but bumbling bear, his best friend bird, a wise gypsy, a greedy butcher and a live gypsy band in a show packed with daring rescues, dangerous traps, magic, music and dancing. 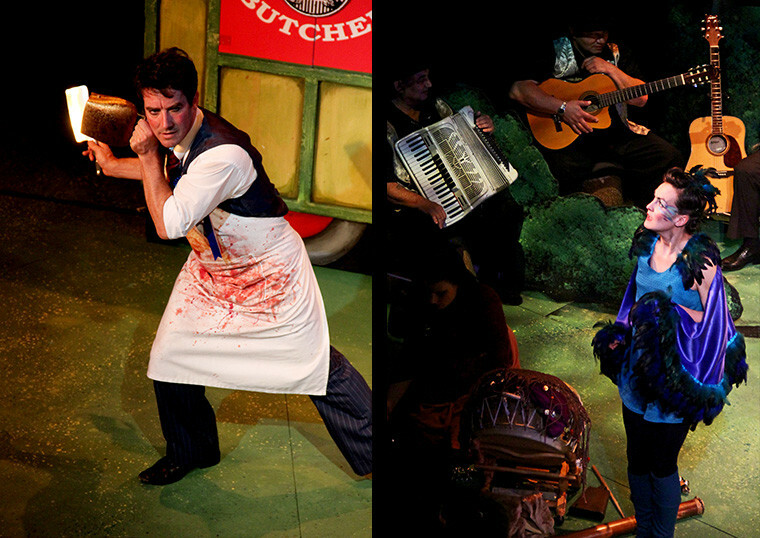 “This is one of those productions that has it all. 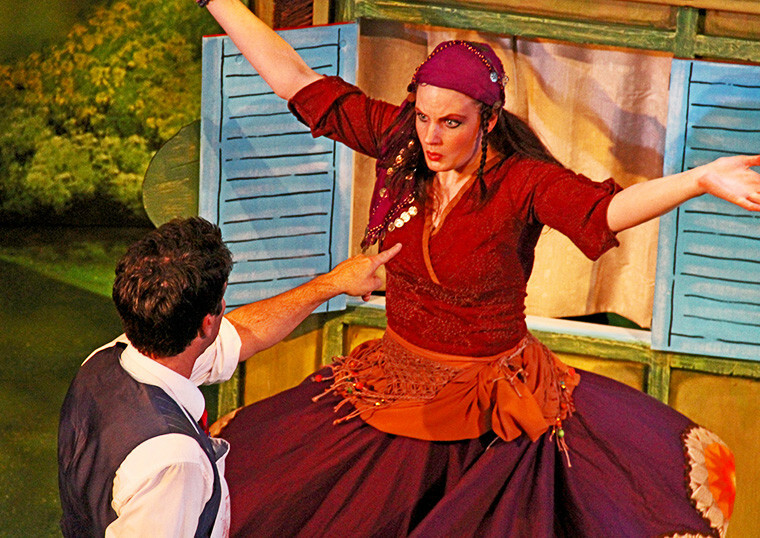 An action packed story written by one of New Zealand’s foremost playwrights, fantastic actors, a set that moves and spins with surprises behind every door, and a live gypsy band! I wish there had been shows like this when I was young” says Bronwyn Bent, producer of Time Out Theatre at THE EDGE, “We are also very excited to have Sally Blackwood directing, she has directed everything from Opera to The Little Mermaid at the Sydney Opera House and it’s a real coup to have her direct the premiere production of what we hope will become a children’s classic”.